Each year, DCIS parents show the wonderful DCIS teachers and staff our appreciation for their hard work with a holiday lunch. This year's lunch is Wednesday, Dec. 19. Thank you to everyone who's already signed up! Slots are still available for food and for help setting up and cleaning up. Raise your hand and sign up here! Items should be dropped off in the DCIS Community Room by 11 am on Wednesday, Dec. 19. Dishes can be picked up after school on Dec. 19 or on Thursday, Dec. 20. Thank you for supporting our teachers and staff! Friday, Dec. 21, no classes for students. Students can meet with teachers by appointment to make up finals or major projects. Otherwise, no school this day. Semester exams will be given next week. Please help your child prepare for their exams by encouraging them to study and by making sure they get a good night's sleep and eat a healthy breakfast. Breakfast is provided free of charge to all students every day, but students must make it to school on time in order to get the free breakfast. We wish all students good luck on their finals! DCIS welcomed new Restorative Practices Coordinator Vanessa Medina this week. She will help build systems and structures in order to promote successful student behaviors, particularly in the middle school. We still have a vacancy for the passroom para. However, due to that position being vacant for more than two months, we have enough money in "salary savings" to upgrade that position to a second restorative practices counselor. Our CSC unanimously supported the creation of a true restorative practices team at DCIS. Other schools that have implemented this system, such as North High School, have seen dramatic improvement in attendance and student behavior. We currently are interviewing for this second restorative practices position. More soon! For some students, the holidays can be a stressful time. If your child appears stressed or anxious about the upcoming two-week break from school or about the holidays in general, know that our counseling and social work team is here to help your child navigate this potentially difficult time, if needed. If that's the case, please don't hesitate to reach out (contact information for our counselors appears below). YOU ARE INVITED to attend the DCIS PTSA membership meeting on Thursday, Jan. 17, 6:30-8 pm in the DCIS Cafeteria. We look forward to discussing the Christmas Tree Lot collaboration with DCIS Fairmont, other sponsorship opportunities, as well as your questions or ideas for fundraising and your priorities for how to spend the money the PTSA raises. Hope to see you there! 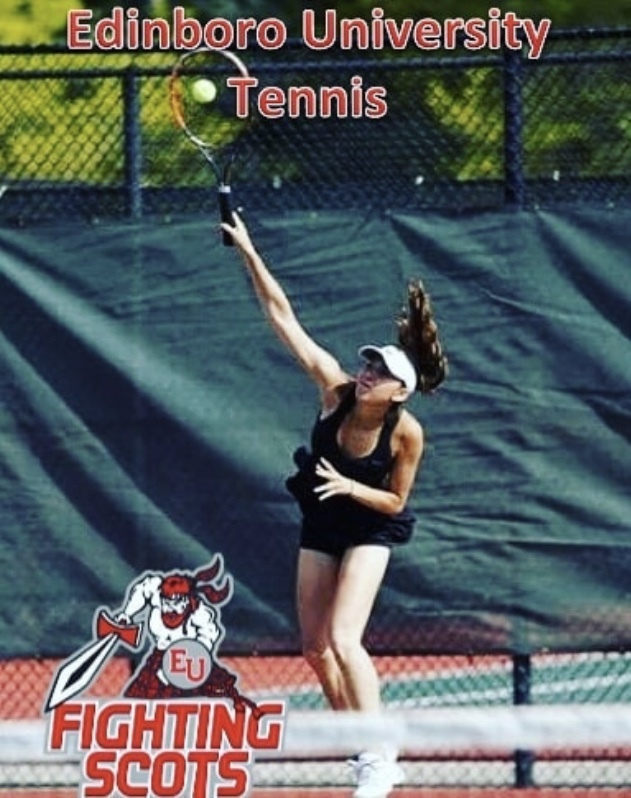 NCAA Division 2 tennis for Edinboro University in Pennsylvania! Thank you to all the students who donated to our canned food drive. We collected more than 350 canned goods. A big congrats to Mr. Pomponio's Advisement and Ms. Ryan's Advisement for bringing in the most cans!!! Finals for fall semester are the week of Dec. 17. Please make sure to monitor your student's grades between now and then to make sure your student passes with a D or better to earn credit. As you may know, Denver Public Schools is partnering with an organization called Be the Influence (BTI). BTI is a parent support program for a network of parents who are dedicated to doing all they can to keep their teens safe and away from drugs for as long as possible. BTI provides access to a secure database of this network of Denver parents who pledge to host teen parties free of alcohol, marijuana, nicotine and other drugs. BTI sends out bimonthly newsletters to its parents with parenting tips and facts about different drugs. There is also an option for parents to receive these newsletters without making the pledge. We invite you to check out this website for more information about this community. To view BTI's latest blog on teen use of marijuana, including information on the latest trends, products and studies, click here. For health effects and other risks for teen use of marijuana, click here. Check out the DenverRAP (Denver Resource for Awareness and Prevention December Activity Calendar. These next couple of weeks are the last big push! Thank you for supporting your students through what can be a stressful time. If you'd also like to support our awesome teachers and staff, please think about contributing something to the staff luncheon on Wednesday, Dec. 19 (see details below). As always, thanks so much for everything you do. Each year, DCIS parents show the wonderful DCIS teachers and staff our appreciation for their hard work with a holiday lunch. Please sign up here for a dish to bring to help them kick off a well-deserved winter break. Cooking not your thing? We also need volunteers to bring plates, utensils, napkins and cups, and to help set up and clean up! Items should be dropped off in the DCIS Community Room by 11 am on Wednesday, Dec. 19. Dishes can be picked up after school that day or on Thursday, Dec. 20. DCIS Fairmont is running a fundraiser this year on which we hope to partner with DCIS Baker next year. To familiarize you all with the operation, we would like to invite you to volunteer at our CHRISTMAS TREE LOT starting on Friday, Nov. 23, and running through Sunday, Dec. 16, on the corner of Broadway and 2nd Ave. (parking lot behind Compound Basix, 145 Broadway, Denver, 80203). Please sign up for shifts here — we need your help! Monday through Friday hours are 5-7:30 pm, with one shift starting at 4:45, the second starting at 5 and both ending at 7:30. Saturday and Sunday hours are 10 am-7 pm, with shifts of varying lengths available. YOU ARE INVITED to attend the DCIS PTSA membership meeting on Thursday, Jan. 17, 6:30-8 pm in the DCIS Cafeteria.If you have any questions or ideas about fundraising, we look forward to discussing the Christmas Tree Lot collaboration with DCIS Fairmont and other sponsorship opportunities, as well as your priorities for how to spend the money the PTSA raises! OneSeed Innovation Labs are two-week, international summer learning experiences for high school students entering their junior or senior year. OneSeed Labs are designed to immerse students in the unfamiliar and to encourage them to think critically about the world around them. Students will learn the basics of design thinking and develop skill sets (and mindsets) to solve difficult problems using entrepreneurial methodology. 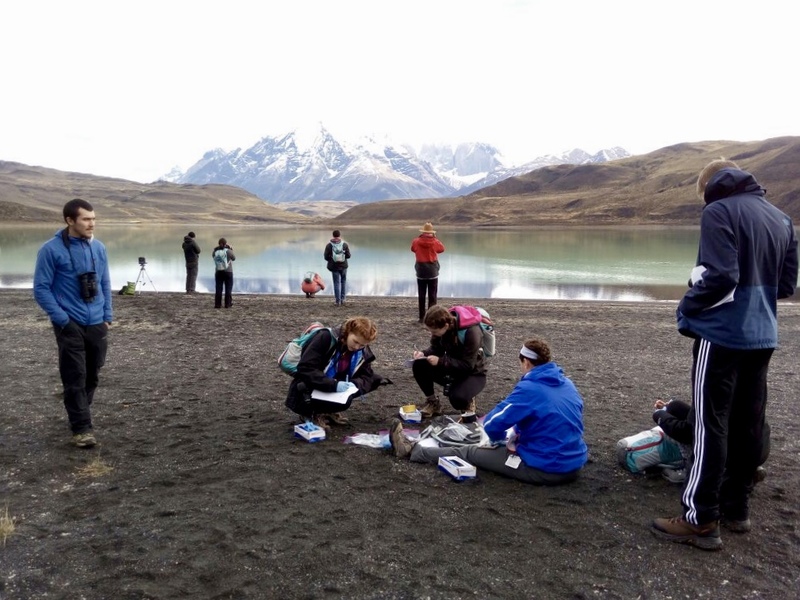 This hands-on approach provides a unique opportunity to learn about and explore a new country and to step outside of one's comfort zone, whether that's by interviewing a local business owner or trekking through the Himalayan mountains. OneSeed Labs evolved out of the work of OneSeed Expeditions, a social enterprise dedicated to changing the way travel impacts local communities. Since 2010, OneSeed Expeditions has invested in more than 500 small businesses around the world — empowering fellow risk-takers to launch or expand their business. We believe that some of the most enduring and meaningful impacts we can create is through business development. We're excited to expand our mission by empowering high school students to explore a new way of thinking and approaching the world. Check out OneSeed Labs for more information!